during my blog surfing this morning, i came across this article, from motown to hoetown. being from detroit, i found the article fascinating and full of hope. not only hope for detroit, but for struggling post-industrial cities all across the US. later in the morning, i came across this awesome photography series, from ross mantle. mr mantle doesn't share where his series of photographs was taken. detroit? maybe. but more likely pittsburgh, since that's where he's from. i think it's crazy how i just happened across both the article and the series today, within a couple hours. not even sure how i ended up on mr. mantle's site. it was meant to be. and i feel that i was meant to share. 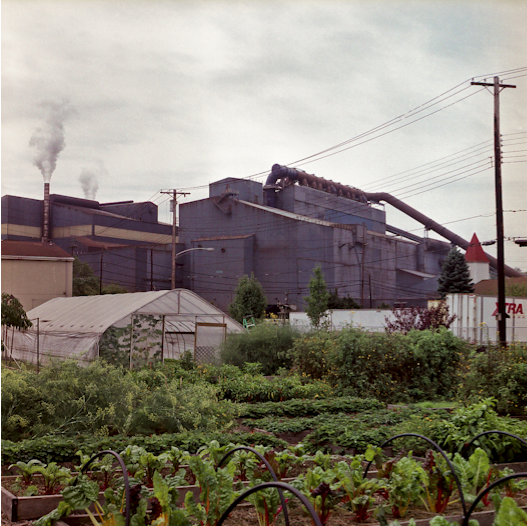 photo below is from ross mantle's city green series. see his entire series here. his riding out the summer is incredible too. inspiration on so many levels. and...just looked at his recent stuff. diverging agendas--so awesome.